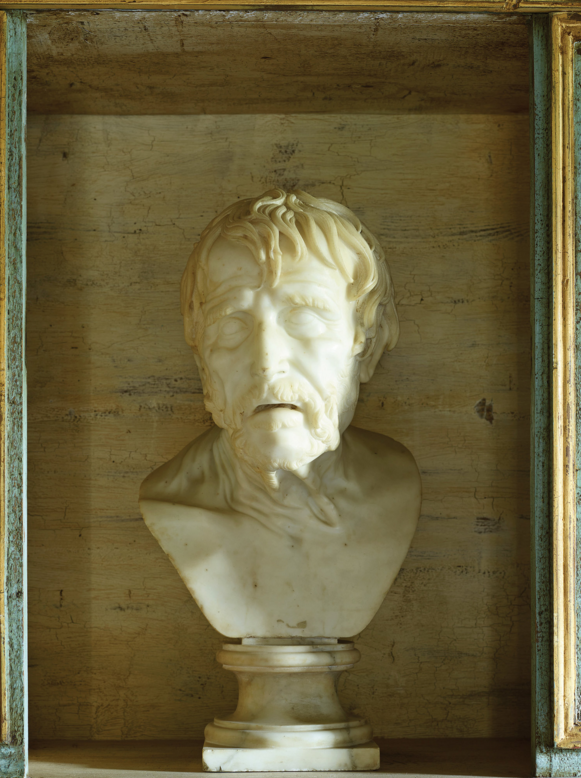 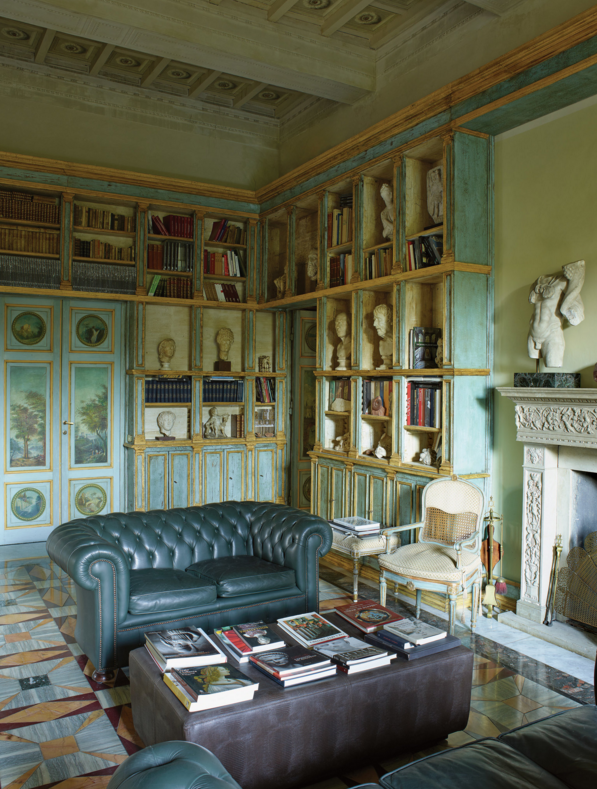 In the living room, a collection of marble sculptures ranging from the third to the 18th century. 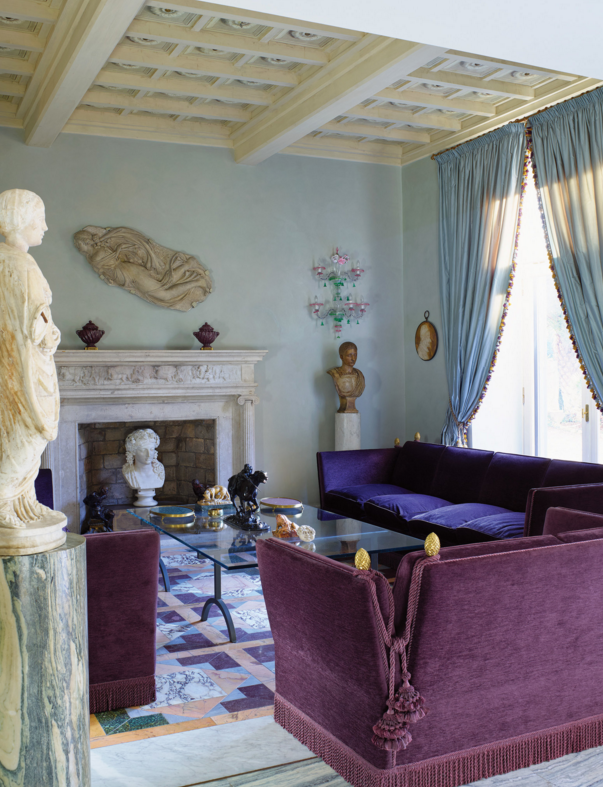 Santarelli in front of a pair of third-century torsos on the mantel in the library. In the library, antiquities nearly outnumber books. The pattern of the marble floor is modeled on Tiberius’s Villa Jovis on Capri. 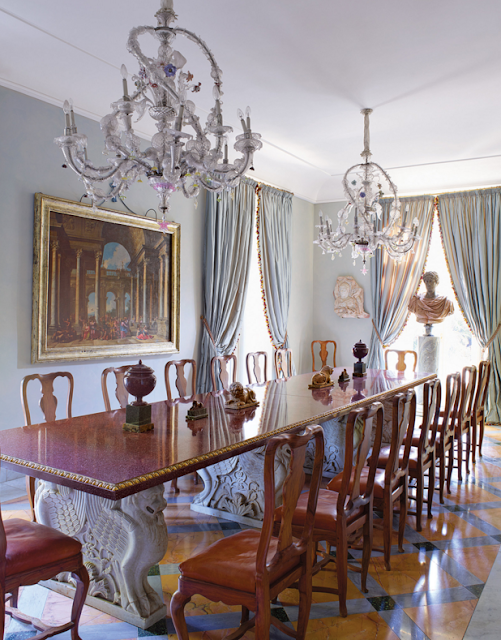 In the dining room, an 18th-century oil painting by Alberto Carlieri and 18th-century Murano glass chandeliers hang over a 15-foot porphyry dining table on marble trapezophoros. 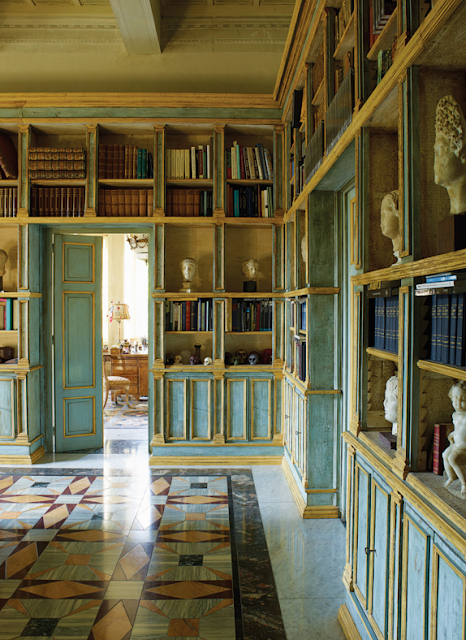 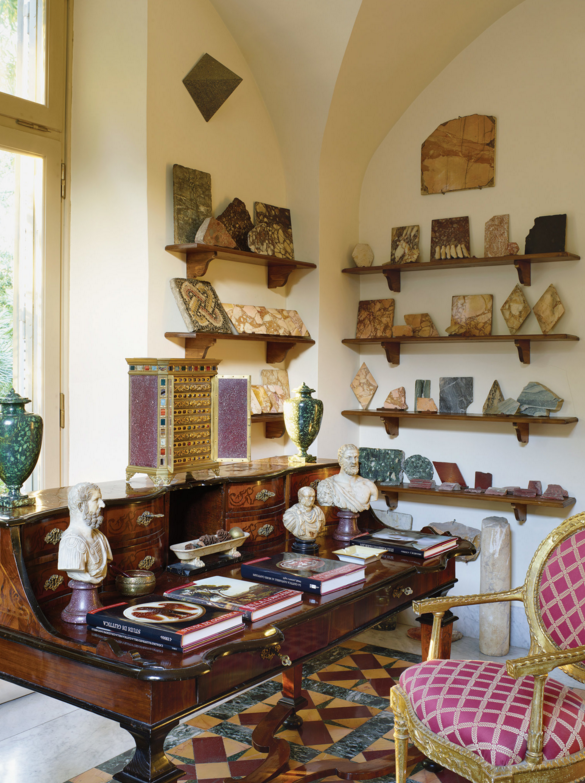 In Santarelli’s office, a collection of polychrome marble samples on shelves over an 18th-century walnut desk. 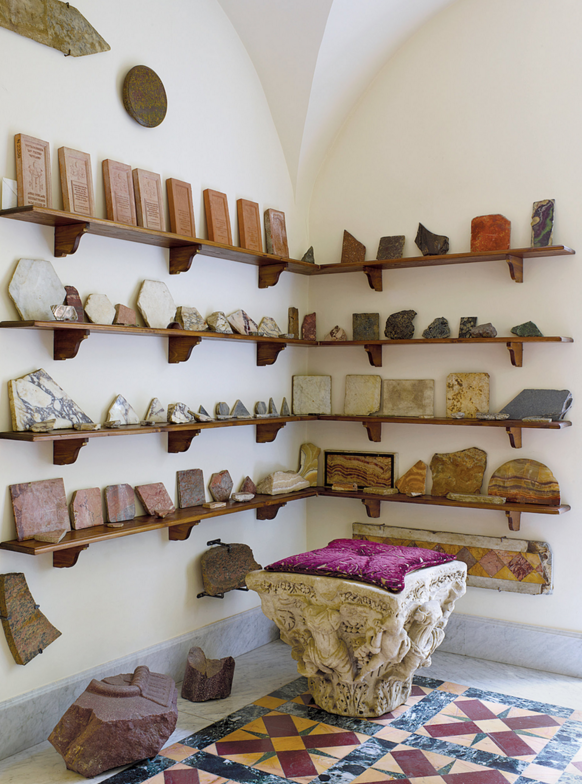 Ancient marble fragments. 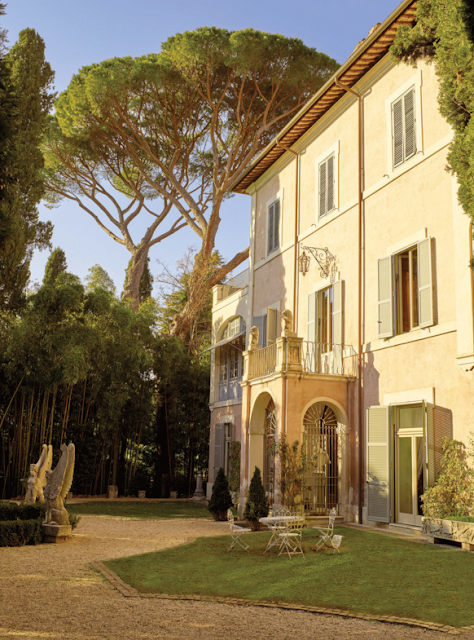 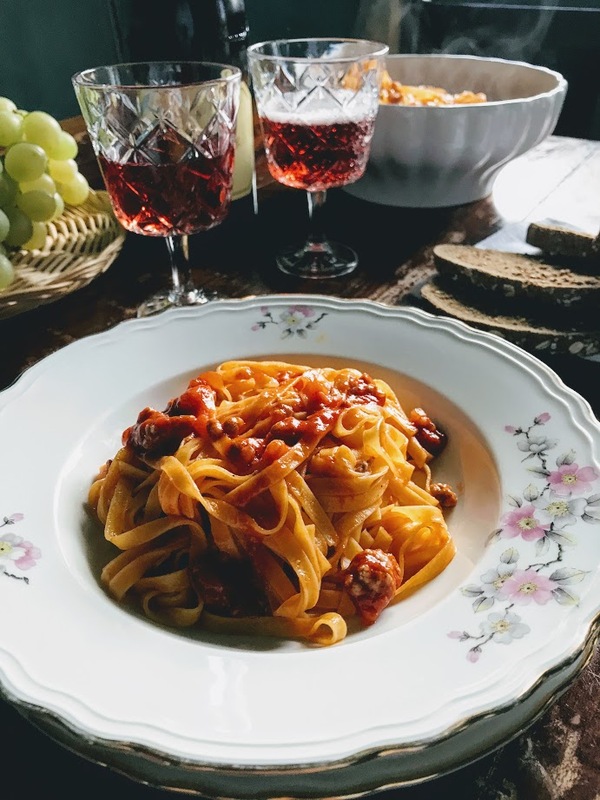 Santarelli believes they hold not just the foundation but the soul of classical Western society. 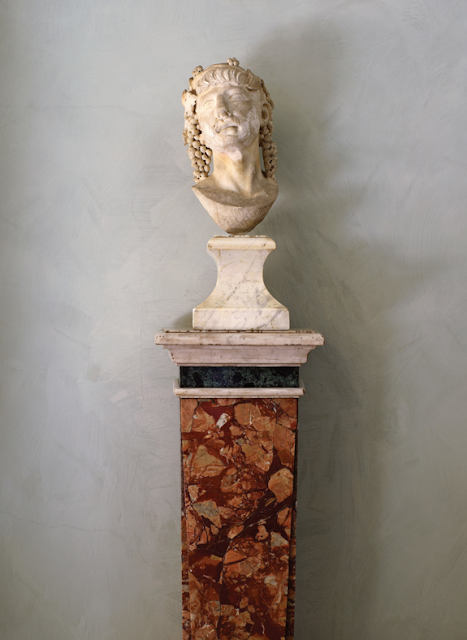 A third-century white marble Bacchus head.